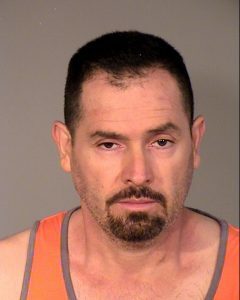 The Ventura County Narcotics Task Force concluded a four month long investigation into the Chaidez-Gonzalez crime family with the arrest of several individuals and service of search warrants related to heroin sales. This organization was found to be supplying heroin delivery services, as well as individual dealers, with bulk quantities of product for resale. 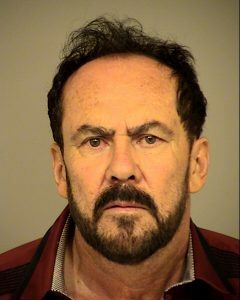 In May of this year, Ojai Patrol Officers became aware of a subject dealing heroin in western Ventura County known as Harold Mory. Shortly after obtaining this information, Narcotics Detectives saw Mory meet in Los Angeles County with Eliseo Gonzalez. 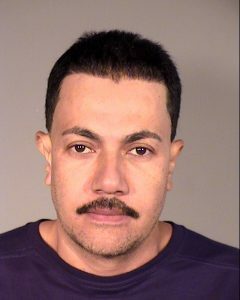 Mory was arrested after he bought five ounces of heroin from Eliseo Gonzalez to sell to Ventura County Customers. 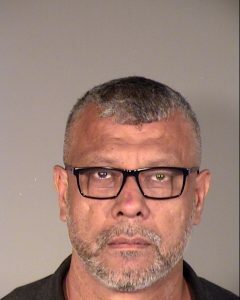 Narcotics Detectives continued to investigate Eliseo Gonzalez and learned he, along with Jose Rodriguez, were distributing heroin to multiple other Ventura County customers. Customers included: Sandra Monje, Mario Torres, Jeremy Mariott, and Clare Brown. All of whom were arrested for various narcotics charges. Detectives additionally discovered Eliseo Gonzalez and Jose Rodriguez were being supplied with heroin by Abraham Chaidez and Jose Gonzalez-Chaidez. Jose Gonzalez-Chaidez was found to be the head of the family-based organization, residing part time in Mexico and part time in the United States. Abraham Chaidez was seen on multiple occasions dealing heroin to Los Angeles based customers including Rubio Demetrio. On August 10, 2018, search warrants were served at several locations in Los Angeles County. Jose Gonzalez-Chaidez was arrested at an apartment in the 11900 block of Kling Street, Los Angeles for heroin sales. About 2 kilograms of heroin was found hidden in the residence. Suspected drug proceeds were also found in his residence. Abraham Chaidez was arrested at his house in the 200 block of Avenue R3, Palmdale. Suspected drug proceeds were found at his residence. Eliseo Gonzalez, his wife Maria Hermosillo, and their adult son, Luis Gonzalez, were arrested at their apartment in the 7100 block of Hazeltine Ave, Los Angeles. Two kilograms of heroin were found in Eliseo Gonzalez’ vehicles during this investigation. Suspected drug proceeds were also found at their residence. Jose Rodriguez was arrested at his residence in the 15100 block of Black Oak Court, Los Angeles. About two pounds of heroin was found in one of his vehicles. Suspected drug proceeds were also found at his residence. The Thousand Oaks Police Department Special Enforcement Unit and Directed Enforcement Unit as well as the Los Angeles Police Department Van Nuys Division assisted in this investigation.